Superdry women's Allegra playsuit. 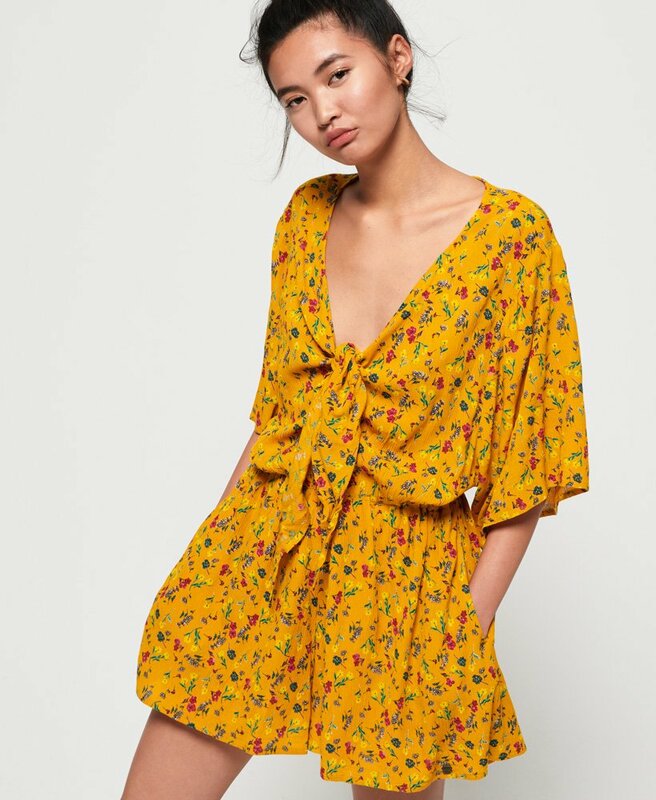 See in the season in style in the Allegra playsuit, featuring a knot front, twin side pockets and fully lined on the leg. Finished with a logo badge on the leg, complete the look by styling with chunky jewellery and strappy sandals.